The Peppermint Stick Insect, also known as Megacrania Batesii, is one of the most interesting rare insects in the world. It is a tropical rainforest insect that is bluish green in colour. It can also be found in some beaches in Australia such as in the north coastal region of Queensland. It is also found in coastal swampy forests and islands in the Pacific Ocean including Papua New Guinea, the Solomon Islands, and in some parts of the Philippines. You may be wondering how the insect got its unusual name. The Peppermint Stick Insect got its name from the chemical it sprays. It looks like a milky substance and smells like peppermint. It only sprays this substance as a defensive action when it is frightened and senses that its predators are around. 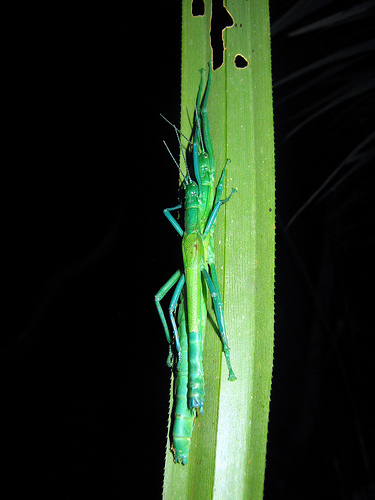 Although the peppermint stick insect is well disguised to camouflage itself to its predators such as birds, its wings can also support the insect as a backup defense system. Usually, the wings will fold up neatly along the stick insect’s body and the peppermint stick insect can spring the wings out when necessary. The colour of its wings can be vivid and thus startle a potential predator long enough to enable the stick insect to move away from its predator. 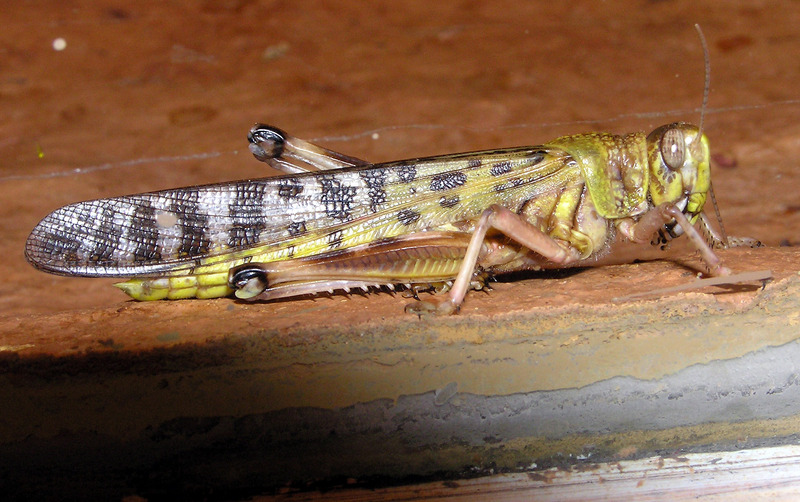 The insect does not use its hindlegs for movement, but only its front legs for moving around leaves or trees. Most similar species of stick insects live in the trees and feed on the leaves. However, the peppermint stick insect can be found and detected by the chewed up pandanus plants which they feed at night on a few species of screwpine plant leaves. These spikey-leaved palms also provide some shelter from potential predators. So not only for feeding or for shelter, the peppermint stick insect also spends its time for reproductive purposes (ie mating and laying eggs on the leaves). 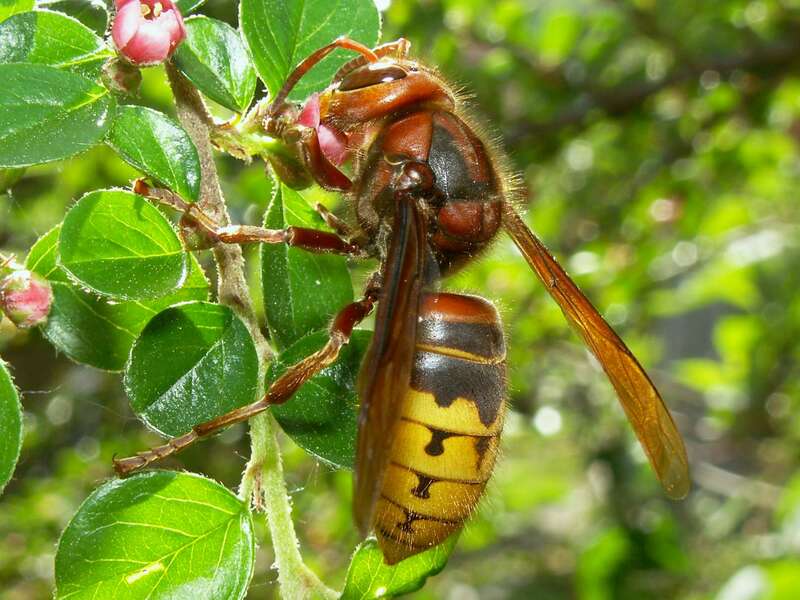 Unlike most animals, the female insect is 10 cm larger than the male, however the male has a larger wing span than the female. This is because the male flies longer distances in order to search for its female mate. The female does not move around and will emit a phermonone which is a kind of hormonal perfume to try and attract the males for breeding purposes. 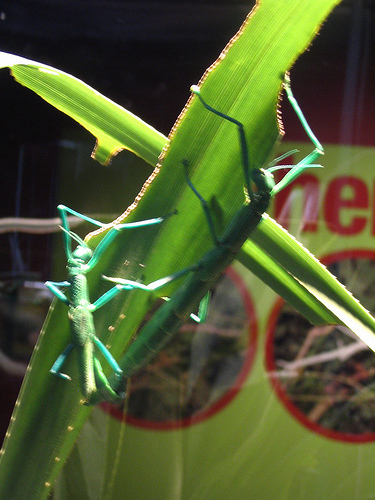 Once the peppermint stick insects have mated, the female will lay its eggs on the pandanus’ leaf. The leaf will then roll down over the eggs to form a tight fitting sort of incubator. This will protect the eggs until the eggs hatch. About 4 months later, the eggs will hatc hand tiny stick insects called ‘nymph’ will emerge and begin feeding on the pandanus plant. The nymph will also change its skin colour a few times in the process of growing. After 3 – 6 months time, it will become an adult and spent most of its lifetime on the same plant that it was born on.